see relevant information that Marketing has gained to provide the context of the buyer's situation, such as demographics, buying stage, and buyer behaviors on your website. Conversely, without a process in place for Sales to return leads to Marketing, Marketing may miss out on opportunities to further nurture leads. For example, let's say you lost a Deal because the buyer chose another vendor with a lower price. You have a hunch that they'll experience issues with quality and will be looking for a different vendor once the impact is realized on their business. Returning this lead to Marketing would be a wise thing to do, nurturing them with a workflow that keeps your quality brand top of mind. If the relationship with the vendor doesn't work out, this lead may surface on your radar again and be ready for another round with the Sales team. For the sake of both departments and the broader organization, the lead handoff process consists of the essential communication that must take place between Marketing and Sales. Fortunately, it doesn't have to be difficult or a manual nightmare. Technology can assist to make this communication an easy, automated, and unbiased process. In this article, I'll share with you some tips on using a marketing automation platform and CRM (in this case, HubSpot) to streamline the process. The very first step when automating your lead handoff from Marketing to Sales is to determine when Sales would like the handoff to occur. The most appropriate timing would be when the Lifecycle Stage of a lead is "Sales Qualified Lead." 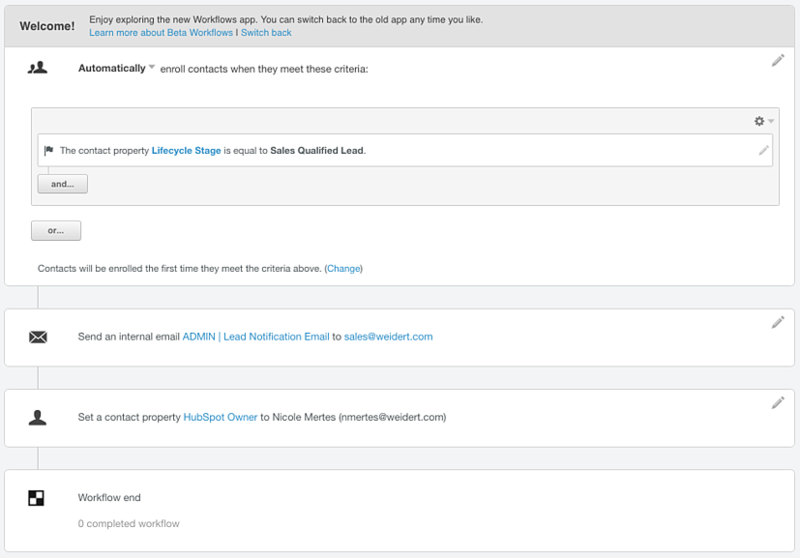 To automate this process, you can use HubSpot's workflow app to create a workflow that sends an email to Sales when Lifecycle Stage is equal to "Sales Qualified Lead." See below for a sample workflow to do just that. Note: If Sales does not have the quantity or quality of leads to satisfy goals, you'll want to consider notifying Sales earlier, when a lead becomes a "Marketing Qualified Lead." When the salesperson receives this lead notification email, he'll be able to click a link that takes him directly to the contact page with the CRM. It's here that the salesperson can find all the valuable information about the lead that provides the context of the buyer's journey. In order to find the most important information at a quick glance, you can customize the properties shown in the "ABOUT" box on the left side of the page, under the contact's name and title. If things like lead score, industry, website, and annual revenue are key pieces of information the Sales team needs to know quickly, be sure to add these properties here. Other activities of the lead such as content downloads, pages visited, emails read, videos watched, etc., are all found within the contact's timeline on the right side of the contact page. This is valuable information to a salesperson, helping them understand where the buyer is in their journey and what they may be interested in. With an inbound sales approach, the salesperson should be using this information to personalize the sales process to the buyer's context. 1. A lead in the sales process becomes unqualified. If you connect with a lead only to find out that the lead is unqualified (i.e., they lied on the form, giving you unusable, untraceable information), you may choose to segment them within your database with a Lead Status of "Unqualified." In this case, the person managing the lead should change that property manually from the contact page (hint: add this property to the "ABOUT" box so it's easy to access). Nurturing Tip: The Marketing team may choose to monitor this lead by continuing to track them and send content offers, encouraging them to provide honest information down the road. 2. A lead becomes an Opportunity. 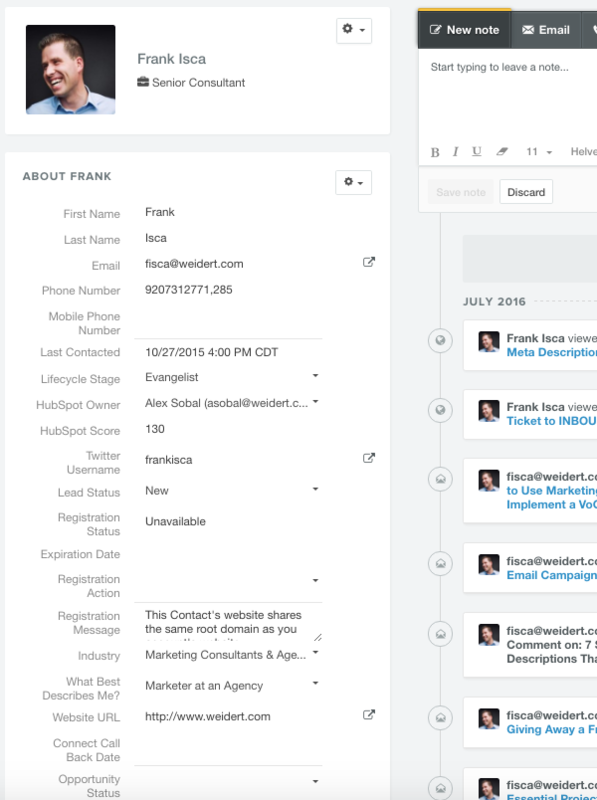 Once a Deal is opened in the HubSpot CRM, the lifecycle stage of the associated company and contacts in HubSpot are automatically updated to Opportunity. Nurturing Tip: With these leads you may choose to trigger a nurturing workflow with a series of emails and helpful content relevant to the decision stage of your buyers' journey. 3. A lead becomes a Customer. Once a Deal in the HubSpot CRM moves to the Closed Won stage, HubSpot automatically updates the lifecycle stage of the associated contact and company to Customer. Nurturing Tip: Now you can consider using the workflow app to trigger a nurturing workflow with a series of emails designed to delight your new Customer. 4. A deal is lost. There is no automatic update from HubSpot when a Deal is lost, so you'll want to automate a process to return these leads to Marketing. You may consider setting up a workflow, for example, to change the status of the contact back to lead whenever a Deal is Closed Lost. Nurturing Tip: Just because a Deal is lost, it doesn't mean it may not be a good prospect down the road. Continue to make these leads eligible for enrollment in your nurturing workflows and/or consider keeping your company top of mind with a subscription to a monthly blog digest. Lead handoff is just one component of the Service Level Agreement that the two departments should share. Ultimately, the goal of having the right process in place is to achieve the business growth goals that your inbound leads are generated for. 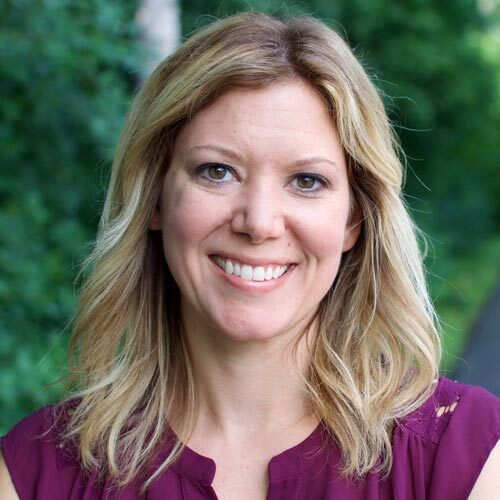 As Weidert Group's lead salesperson and business development strategist, Nicole heads up the agency's new business strategy and provides sales consulting services to clients. Prior to her role at the agency, Nicole was an advertising manager at Gannett, one of the nation's largest media companies. With 10+ years of experience in advertising sales, she understands the complex relationship between marketing and sales within organizations.